Velocity of detonation (VOD) is cited as the performance specification for explosives. If you are not measuring VOD then you cannot be sure that your explosives are performing properly. 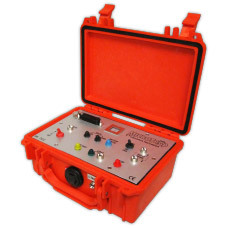 If you want to profile the VOD continuously along the explosives columns in multiple blastholes, along an explosives sample, or determine the delay times between blastholes, the most affordable and easiest to use recorder is the MicroTrap™ VOD/Data Recorder. It is the World’s most popular VOD recorder and can be optionally extended to record any sensor that outputs DC voltage such as pressure sensors and accelerometers.